When something unexpected happens at a wedding, as a photographer you must be alert. Plenty of people carry mobile phones into the pre-wedding festivities because of their ability to call someone, take photographs, capture video, etc. By paying attention, I realized very quickly that something out of the ordinary was happening. Emily’s grandmother was not able to attend the wedding, and due to the wireless internet at Veritas, she was able to call in using the iPhone’s Face Time and see everything. 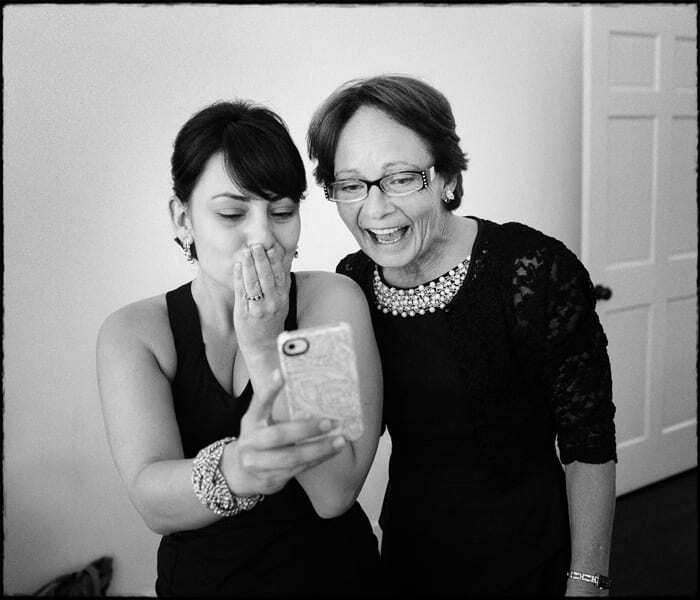 This photograph is of Emily and her mother receiving the phone call and their reaction.